This quiz was created to test your Tudor history knowledge – beware, some questions may be more difficult than others. Enjoy and be sure to share with your friends! 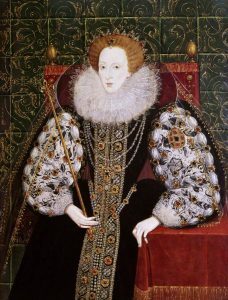 Congratulations, you have finished this Tudor history quiz provided by TudorsDynasty.com – we hope you enjoyed it and maybe learned something along the way. On 22 August Richard III’s army fought against Henry Tudor’s army at the Battle of Bosworth. Henry Tudor was the victor and became Henry VII of England. What year did the Battle of Bosworth occur? What was the date range of the Tudor Dynasty? Henry VIII was married six times, who was his third wife? Catherine Parr was Henry VIII’s sixth wife. After he died she married this man and had a daughter by this name….? Who was Henry VIII’s ‘right-hand man’ until his downfall and death in 1529/1530? Who was Henry VII’s Queen consort? This year witnessed the death of Katherine of Aragon, Anne Boleyn and Henry Fitzroy. . . what was the year? Which palace did Henry VIII marry Katherine Howard? Who was Henry VII’s mother? Can you guess which King this handsome babe is? Who was Henry VIII’s sixth and last wife? Glad I was slightly above average.